Custom garage doors give your home a very distinctive look. We know such a look can help increase the investment value of your property. 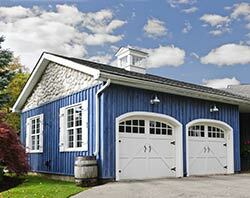 We also understand that garage doors that are large in size have an influence on the look of your building. The doors that we have help you display your own personal taste and style. The company assist customers by helping you determine the type of custom garage doors style they need that suits your taste. We provide customized solutions that work as a compliment to your garage door in order to enhance your own vision. Garage doors can be custom designed and serve many different purposes other than just being a door. The door is a projection of how you believe your property should be viewed by others. HighTech Garage Doors employs artisans that help translate the vision for your property and bring to life your custom door design. The doors we maintain in stock are composed of materials that are of high quality and traditional materials that are both natural and organic such as wood and metal. HighTech Garage Doors doors have the look and feel you want from an aesthetic standpoint and are very functional. Our years of experience in the area along with the skills of our professionals, coupled with your own input help us provide you with that special door. Not only can we design your overhead garage door solution but we can customize it to fit whatever your needs are. This goes from bifold and trifold type doors as well as swing style and barn style doors. If you have your own design ideas, we can incorporate them into a custom garage door that fits and your design style. We have the most skilled artisans and technicians in this Seattle, WA that help design, install, and make sure that your garage door is what you want for your business or your home.